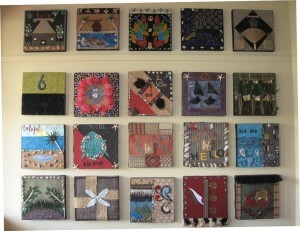 The older posts below show some of the recent history of South End School. 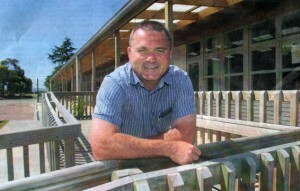 The South End School Reunion has been moved from the Easter Weekend to the Queen's Birthday Weekend. The Reunion page can be found here. 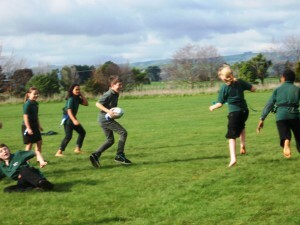 The whole school trekked down to Carrington Park last week with banners and flags, to greet the three All Blacks Cory Jane, Victor Vito and Sam Whitelock. The South End banner stood out amongst the umbrellas and All Black regalia. 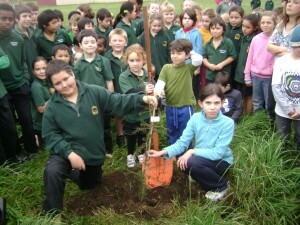 On the Friday of Matariki week the whole school met down in our native bush area to plant a totara tree. A karakia was said to bless the tree and our youngest and oldest students got to hold it in place while the stake was hammered in. 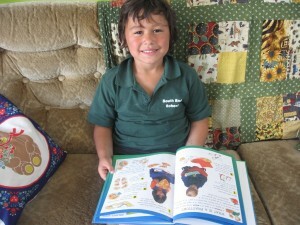 Our whanau group are now known as "Nga Whanau o te Moana Nui-a-kiwa" - "Families of the Pacific." Wow!!! 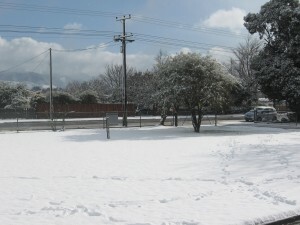 Who would have believed that this much snow would fall in little old Carterton. The kids had a great time out with Mr O'Leary down the field building snowmen and having a snowball fight. 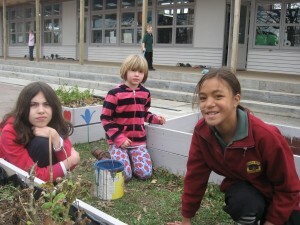 A group of green fingered gardening fans help Julie maintain gardens in the school and develop new areas like these planting boxes. 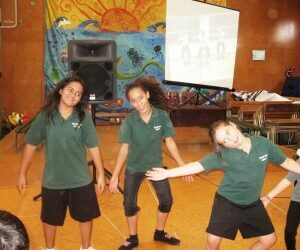 Room 3 had a great bunch of entries in the Talent Quest. Students danced and sang to all styles of Music. 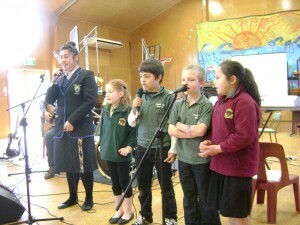 Great to see how confident you all were up on the stage and with a microphone. 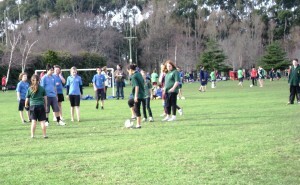 An interschool Soccer Tournament was held in July at Carrington Park. 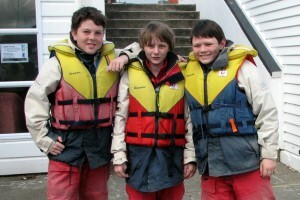 In the cold conditions the Room 5 and 7 excelled in their level of participation. 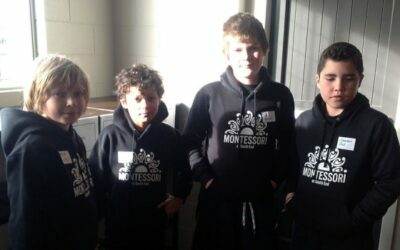 Some students played every game for 4 hours. The Yr 7 & 8 social side won a trophy for their perseverance. Doug Bracewell has been in at school for the last three weeks running training sessions for Rippa Rugby as a lead-up to an interschool tournament in Term 3. 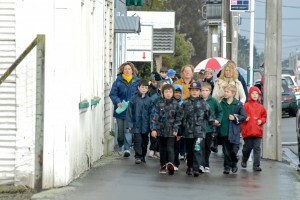 A busload of Kuranui students arrived at South End School last week to deliver the Kuranui Roadshow to a very enthusiastic and participating school crowd. 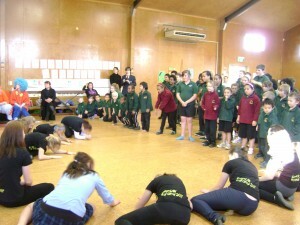 Students were entertained by jugglers, artists, a live band, clowns, dancers, singers and mime artists. 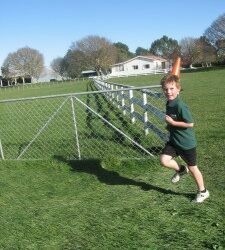 At the cross country on Wednesday the stand-out performance was the level of participation from all students. The crowd was amazingly supportive of everyone's efforts and the glorious weather made the day a great success. 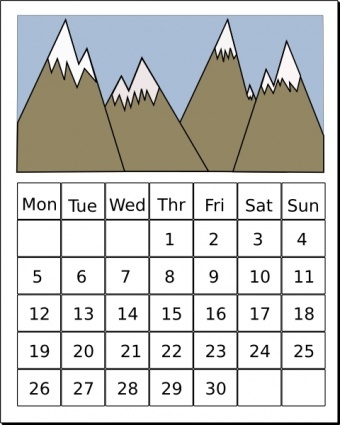 This week's value has been "Service". 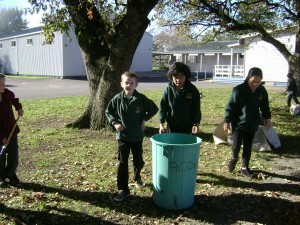 Room3 has been enthusiastic in helping make our school a tidy and well-presented environment. They have raked leaves, weeded the vege garden and swept paths. 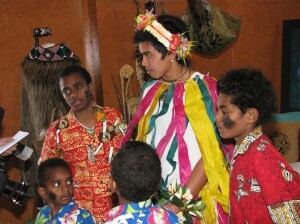 Each year groups of students are identified for extension programmes. 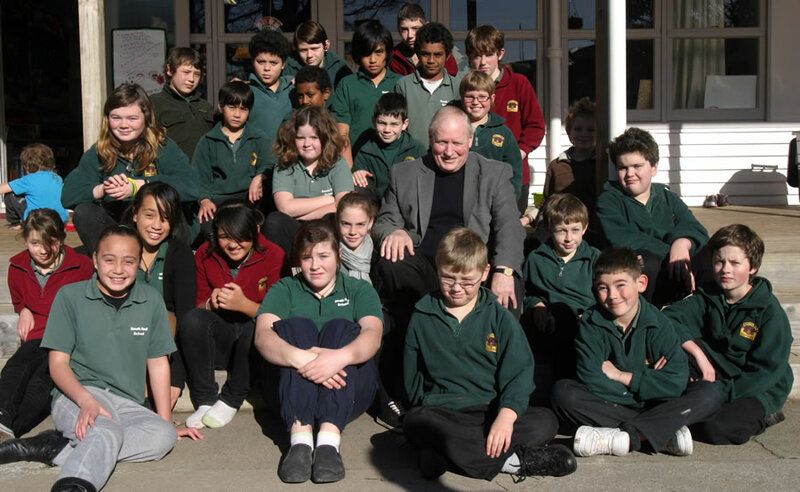 One was on Podcasting and three Yr 6 students travelled down to Greytown School for 2 days where they experimented with green screens. 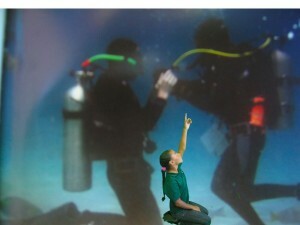 The picture below shows an example of their efforts. 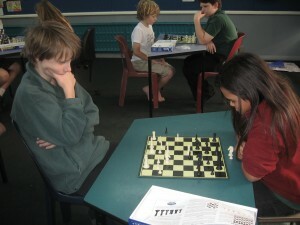 Students from Rooms 5 & 7 have been lucky to have Marlon Tortoza, a parent, come in each Tuesday to give tuition in Chess. 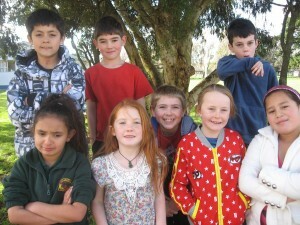 Later in the Term some of these students will be competing in tournaments around the Wairarapa. Room 7 are looking up at the Night Sky. To help us learn about instruments that astronomers use, Mr Vincent brought in his telescope for students to look through and realise what magnification is. 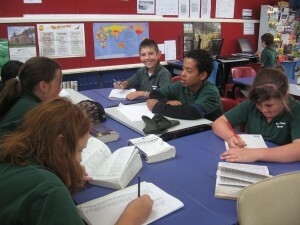 As part of the Literacy Programme students use dictionaries to locate word patterns and meanings. 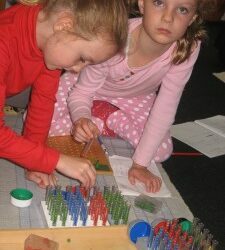 Charlotte and Lily are working with the test tubes to solve a long division problem. 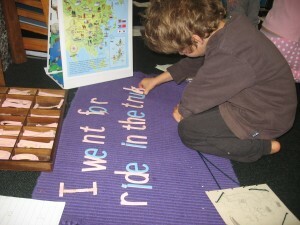 Here is Cody writing a sentence using the moveable alphabet. 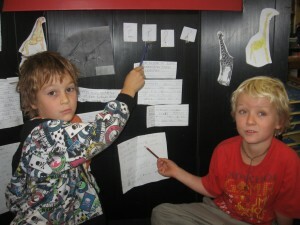 Josh and Carlo are presenting their giraffe report.